Former state chemist Annie Dookhan in 2013. In the latest development in the Annie Dookhan scandal, plaintiffs filed a federal class-action lawsuit Friday seeking the repayment of probation fees and other fines paid to the state in drug cases that were dismissed due to evidence tampering by the disgraced former state chemist. “The Commonwealth took millions of dollars from the pockets of people who were wrongfully convicted, and it must now give them their money back,” Daniel Marx, a lawyer representing the plaintiffs, said in a press release. 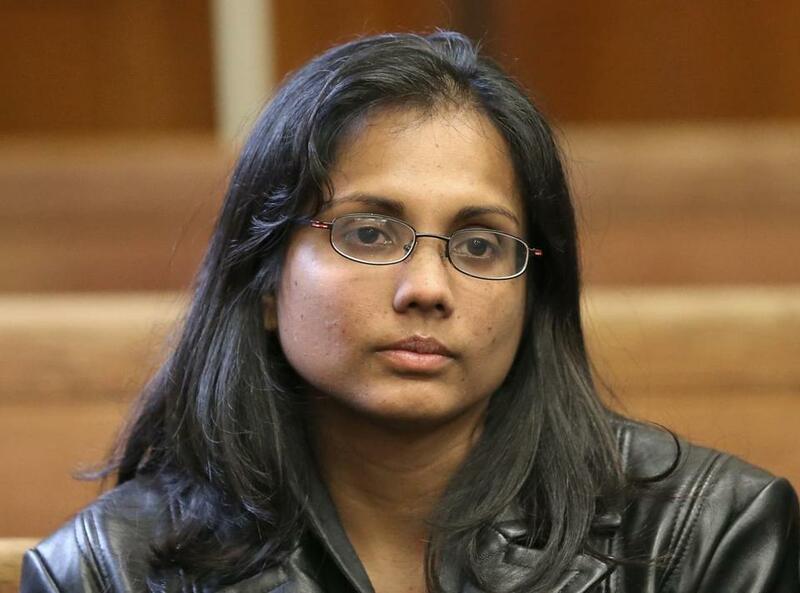 Last year, the Massachusetts Supreme Judicial Court vacated more than 21,000 cases involving so-called Dookhan defendants. The suit contends that their due process rights were violated and they should be paid back the money they paid in the course of their arrests, incarcerations, and probations. Last week, the SJC agreed to hear a related case from a man who paid thousands in fees after pleading guilty to drug possession charges. Both cases rely on a US Supreme Court ruling from last April, Nelson v. Colorado, which was published the same day thousands of Dookhan-related convictions were vacated. In that case, the Supreme Court ordered the state of Colorado to refund fees to a woman who was convicted but later acquitted of felony charges. “The existence of both these cases just shows that, although convictions have now been overturned, the state hasn’t done much of anything to actually right the wrongs that were imposed on Dookhan defendants,” said Matthew Segal, legal director of the American Civil Liberties Union of Massachusetts. One of the plaintiffs, Stacy Foster of Hyde Park, pleaded guilty to drug distribution in 2005. He was sentenced to two years of probation, during which he paid a monthly supervision fee, according to the suit. Foster also had to pay to reinstate his driver’s license. Police seized approximately $1,800 from another plaintiff, Jamie Kimball of Woburn, when she was arrested in 2010. According to the complaint, Kimball “explained to the police that the funds were from her legitimate employment and for her monthly rent.” The court ordered Kimball to undergo drug testing and counseling at her own expense, the suit said. The third plaintiff, Jonathan Riley, pleaded guilty in 2008 to drug possession with intent to distribute. He was sentenced to two years of probation. The suit named as defendants Governor Charlie Baker, Attorney General Maura Healey, and other state officials, as well as several district attorneys.